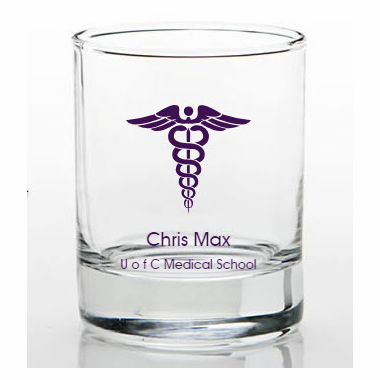 Customized party glassware are perfect party favors to mark your doctor graduation day after years of endless exams and stress. 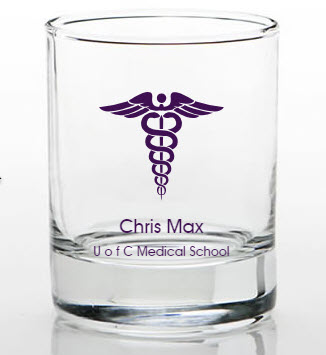 Each glass measures 2.5" tall x 2" in diameter, with a 3.5" ounce capacity and has an iconic caduceus print to remind your guests of this big event in your life. Match the imprint to the color theme of your party and add your name and party date to complete the design.